Llyn Geirionydd lies in a valley in North Wales where the northern edge of the Gwydyr Forest meets the lower slopes of the Carneddau mountains. The lake is almost a mile long and covers an area of 45 acres (180,000 m2), but is never any deeper than 50 ft (15 m) according to Jehu’s survey. 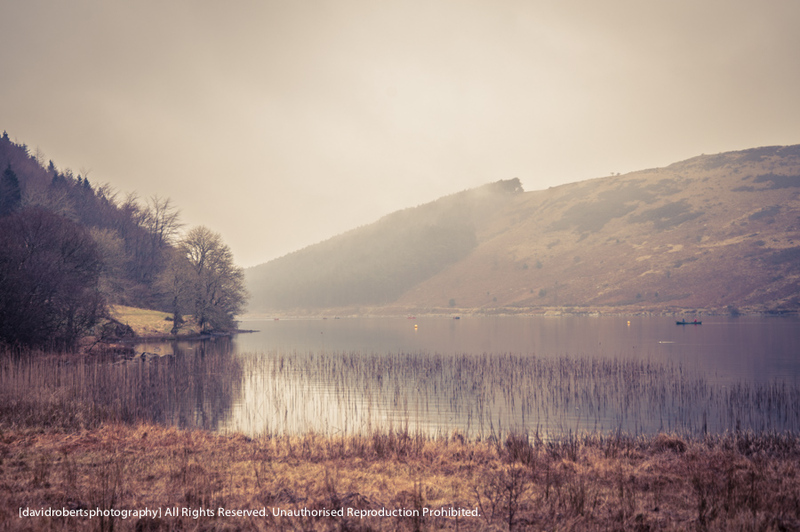 The lake can be reached by car from Trefriw or Llanrwst in the Conwy valley, the lane passing through the hamlet of Llanrhychwyn, or from the road through the Gwydir Forest. Access is not particularly easy by either route, but this has not stopped the lake being the only one designated in Snowdonia to permit power boats and water skiing.Many visitors also walk to the lake from the village of Trefriw (it is on one of the Trefriw Trail routes) or from the neighbouring lake of Llyn Crafnant, which runs parallel to it, but a mile distant, the two being separated by Mynydd Deulyn, “mountain of the two lakes”.